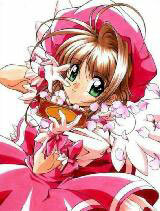 You are going to Watch Cardcaptor Sakura Episode 4 English dubbed online free episodes with HQ / high quality. Stream Anime Cardcaptor Sakura Episode 4 Online English dub Sakura’s Tiring Sunday, While cleaning the house, Sakura finds two dormant Clow Cards, The Wood and The Rain. But while running an errand for her father, the two cards activate creating a jungle inside the house. Sakura uses The Watery to capture The Rain card and The Wood yields on her own. Sakura gets the hard-earned lesson that a card is not fully subdued until she signs her name on it. 5 / 5 - 12 ratings.